Projects dealing with socialized sectors, such as education and health, are entitled to four years of tax exemption and 50% tax reduction for the sequential 5 years. It has concluded 66 double tax agreements. Vietnam is one of the most stable countries in the South East Asian region, and the top leadership appears committed to continue with the economic reforms and continue to make the country more accessible and attractive for foreign investment. In order to be able to establish branch offices, the Vietnamese legislation requires that the foreign company must have been conducting business abroad for at least 5 years prior. Although progress has been made in the past few years, Vietnam still has an inadequate infrastructure, especially when compared to other Southeast Asian countries, such as Thailand, Singapore and Malaysia. Overall, according to the World Bank, Vietnam is negatively ranked in 82nd from 190 countries worldwide in its Ease to do Business 2017. Establishing a Vietnamese company is a good way to buy a property in the country, as a 50 year leaseholds being available to foreign owned companies from July 1st 2015. 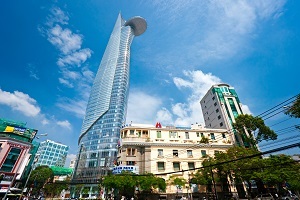 Without a company, foreigners need to be resident in Vietnam to hold property.